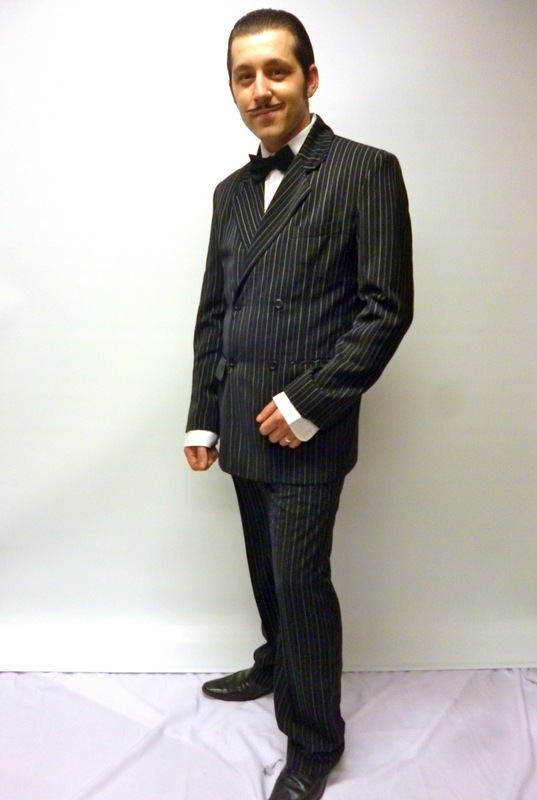 Gomez Addams costume for hire. 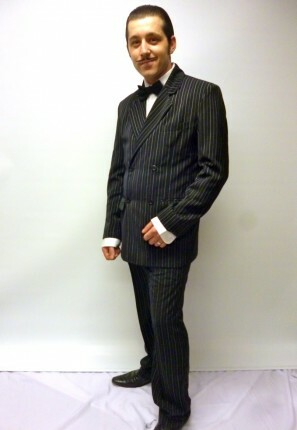 Consists of two piece black with white pin stripe suit, shirt and bow tie. you will creepy and spooky in this classic halloween character. Great for a TV themed costume party.